From images of Lot and his daughters to Icarus hurtling towards the earth, a Hendrick Goltzius engraving, etching or woodcut show elongated figures in typical of Northern Renaissance Mannerism. Sell Hendrik Goltzius artwork with us. We will research its value and popularity for you. Browse Hendrik Goltzius Catalogue Raisonnés Online. Hendrick Goltzius, the most important Dutch artist of his generation and a founder of the seventeenth-century Haarlem school, was born in Muhlbracht in 1558. After learning the trade of glass painting from his father, Jan II Goltz, Hendrick studied with Dirck Volckertsz. Coornhert in Xanten, who taught him the art of engraving. In 1577, Goltzius settled in Haarlem, where he made numerous reproduced engravings for the Antwerp publisher Philip Galle, and by 1582 had established a flourishing atelier in which prints of his own invention were also made and published. 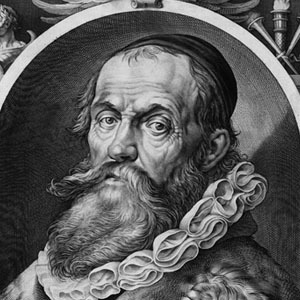 In 1583, the Flemish painter-theoretician Carel van Mander arrived in Haarlem, and introduced Goltzius to the work of the Flemish artist Bartholomaeus Spranger (1546-1611). Goltzius was quickly seduced by Spranger's flamboyant mannerist style, and not only made many prints after his works, but also began to incorporate Spranger's elegantly attenuated figures and violent foreshortenings into his own engravings. In 1590, Goltzius travelled to Italy, where he studied ancient sculpture and paintings of the High Renaissance masters in Rome, Florence, Venice and Bologna. Upon his return to Haarlem the following year, Goltzius abandoned his earlier mannerist mode, turning instead to the more normative, classic forms of the Italian and Northern Renaissance, a change which would prove decisive for the rest of his career. Around the turn of the century, Goltzius exchanged his engraver's tools for the painter's brush, in part due to failing eyesight after years of close work with the burin, but also in response to the theory of his friend van Mander, who held painting above the graphic arts. Goltzius's paintings are relatively rare. Approximately fifty autograph works are known, and all date from between c.1600 and 1617, the year of the artist's death. Drawings, engravings and paintings by Goltzius can be found in many major institutions around the world.